Do ALL of your employees know these stories and sound bites so if they are asked at a conference or social gathering; “Hey…what’s it like working at…?” they can share not only their own stories, but also the larger employer branding story? If not, it’s time to collect, codify, and communicate the stories and slogans that sell your Employer Brand. It’s time for everyone involved in attracting and recruiting talent to know these stories, each one’s purpose, and how to tell them in a fascinating, persuasive, and memorable way. 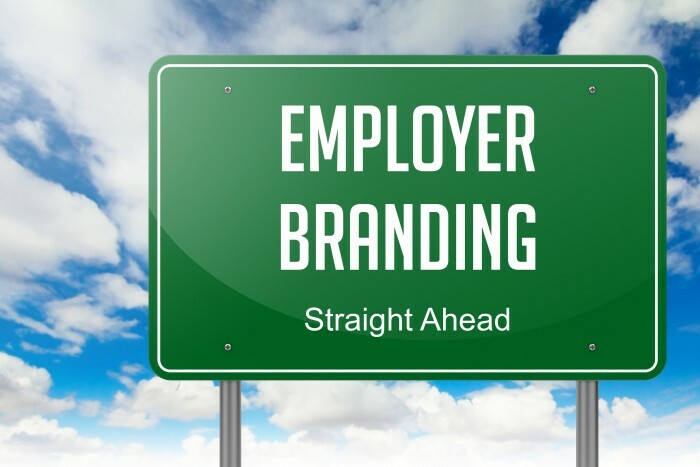 It’s time to engage ALL employees in employer brand storytelling so they can become a powerful member of your recruiting team. Illustrate the good that your organization does in the world, both through the products or services you bring to the marketplace, and your philanthropic and volunteer efforts. The kind of employees you want most are the ones who care the most. Research on Millennials shows that being part of an organization that is doing good in the world plays a major role in choosing one potential employer over another. Show how employees get to make a difference, how their voice matters, how they get to be real “players.” This is one of THE most important needs of Millennials, so this genre is especially important to collect. Your core values in action; what they look and sound like in real life. This not only will help you attract people who fit your culture, they also will help repel those who don’t. Why someone would be lucky to be part of your team; why they would be proud to be an employee. Since “A List” talent wants to work with other “A List” talent, and to be part of an organization they can feel proud of, make sure you share stories that demonstrate this. Communicate what your culture, what your unique personality, is like. As mentioned before, this helps ensure a good fit and keep your culture strong. Kenney and her team adopted the Honey Badger as their company mascot because it personified their “never quit” and “get the job done” ethos. The “I want to work here” tipping point for this young woman came while watching the Dream Local team run the media component of a large, iconic Maine festival. In true Honey Badger fashion, the Dream Local team didn’t just tweet out photos of highlights or pitch local media for coverage. They provided real time, “word on the street” feedback to festival organizers on their observations about festival goers’ experiences and how they might use this intel to dial up the “Wow!” factor even higher. When Kenney sat down with the young woman to do an end-of-summer internship performance review, the young intern surprised her with her own proposal. Can you see how using such a conversation in recruiting conversations or even in “Hey…what’s it like working at Dream Local?” conversations would make for a much more fun, interesting, and memorable conversation? Can you see how such a story would intrigue a highly talented, driven professional who only wants to work with the A Team? In some situations you don’t have time, or it would just seem awkward to tell a story. A sincere sound bite is not some slick, manufactured message that doesn’t honestly represent the real employee experience, but rather employee-generated messages with some wordsmithing to make them punchy. Here’s an example of a sound bite that captures a company’s ethos and the other that taps into a fundamental desire of A List talent. It comes from Amir Zonozi, the Chief Strategy Offier at Zoomph, a real-time social media engagement & analytics platform. That one line stayed with me after the interview was over. When I think about that interview, I can still hear him saying it. That’s the kind of sound bite you want “A List” talent to hear, something that sticks with them long after they have talked with you and all the other recruiters wooing them. When you think of “We’re a team of door openers,” doesn’t it give you a vivid picture of camaraderie and collegiality? Doesn’t that sound like a place you would like to work, especially if you’ve worked in impersonal or toxic workplaces? The final example is actually a combination of the two message genres. It comes from Jessica Farley, an employee at Full Tilt Consulting, a branding, strategic marketing, and communications firm. There are two key points to what makes this mini-story sound bite amalgam effective. First, because the sound bite is delivered within a mini-story it’s more interesting and memorable. Because our brains find stories inherently more interesting than non-story based communication, wrapping the message around a stories makes it more interesting and memorable. Second, the mini-story provides a concrete counter example of Jessica Farley’s work experience — the scenario of being told to send out a press release when you know it won’t provide the client any value, but will cost them. Any ethical, talented PR professional who takes pride in doing a great job will immediately relate to this scenario and cringe. Whether you do it informally or formally, start asking employees for stories that speak to the five genres listed earlier in this article. Pay attention to phrases and statements that could make powerful sound bites. Analyze what you have collected and categorize them in terms of the message they communicate and why and when you would use them. Teach managers these stories and how to tell them well. Use them, and have your managers use them, in all aspects of attracting and recruiting talent. Share these stories regularly with employees and ask them to share them when they are networking. Collect, communicate, and celebrate stories of employees using these stories to attract “A List” talent. Not only does this reinforce the behavior, it also shows other employees that sharing these stories can become a natural part of informal conversations with the talented people they meet.